Love the sea? Have a strong sense of adventure? Want to learn something new? Want to join an amazing community? Whatever your reasons, now is the perfect time to sign up for a PADI Scuba Diving course. Join our outstanding team of instructors for a fun weekend in Hurghada and learn how to explore the underwater safely. 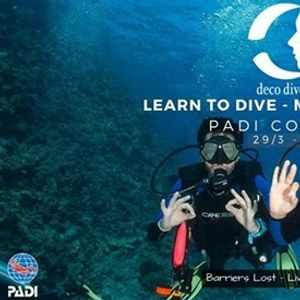 For our already certified divers, this is also a great opportunity to increase your diving skills and sign up for an advanced diver, rescue, or speciality diver course. Our team of instructors uphold the highest standards for diving education, safety, and marine life conservation. Whatever your skill level, we are here to help. Discover Scuba Diver: A quick and easy introduction to the underwater world where individuals learn the basic safety guidelines and skills need to dive under the direct supervision of a PADI Professional. Scuba Diver: The initial diving certification that allows individuals to dive under the direct supervision of a PADI Professional to a maximum of 12 meters. Open Water Scuba Diver: Entry level course where individuals learn a strong understanding of the basic principles of scuba diving, while practicing their skills in confined and open water. 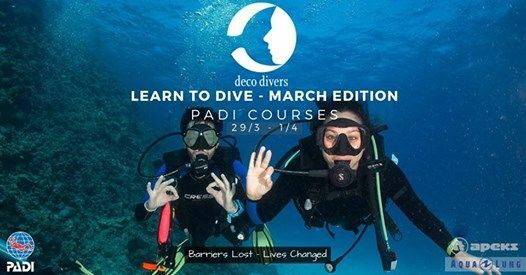 Advanced Open Water Scuba Diver: Available to certified open water divers, this course will advanced your diving knowledge and skills by completing 5 adventure dives. Potential Adventure Dives: boat, buoyancy control, drift, fish identification, night, photography, and wreck diving. Rescue Scuba Diver: Through this program divers will learn to prevent and manage problems in the water, become more confident in their diving skills, and gain the confidence needed to help others. CPR and First Aid training is incorporated into this course. Emergency First Response: Through this course individuals will build their confidence in lay rescue and increase your willingness to respond when faced with a medical emergency. Not only will students learn basic first aid skills, they will also learn how to perform CPR. Speciality Courses: Speciality courses teach divers new techniques and tools to enhance underwater exploration. Boat Diver, Enriched Air (Nitrox), Surface Marker Buoy. Diving Equipment is included only for Discover Scuba Diving, Scuba Diver, and Open Water Scuba Diver Courses. Nitrox in included for Enriched Air Speciality Courses.